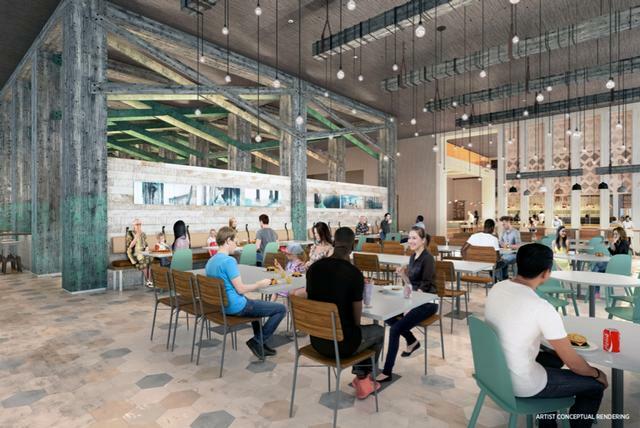 April 10, 2019, 12:42 PM · Universal Orlando is getting ready for an "endless summer" by dropping a few more concept images from its upcoming new value-priced hotels. 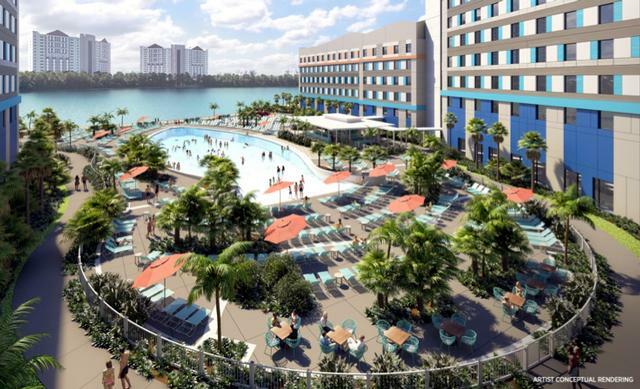 The first of the two new hotels going up on the former Wet 'n' Wild site, Universal's Endless Summer Resort - Surfside Inn and Suites, opens June 27. 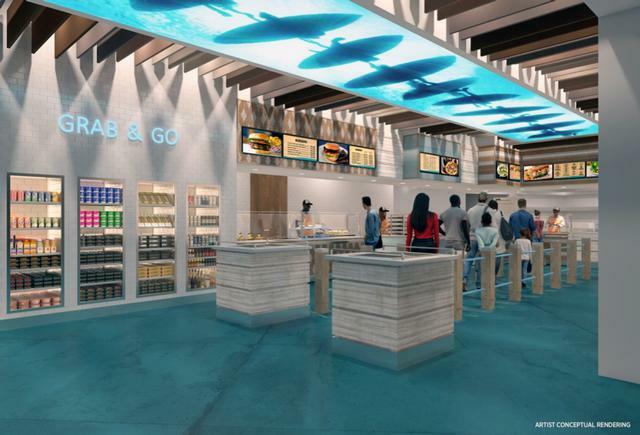 The look here, as the name implies, is "surf," with a lobby that evokes a sandy beach and crashing waves. The hotel's restaurant puts you into the surf, with images of the underside of surfboards riding waves overhead. And the hotel's pool is shaped like a surfboard. 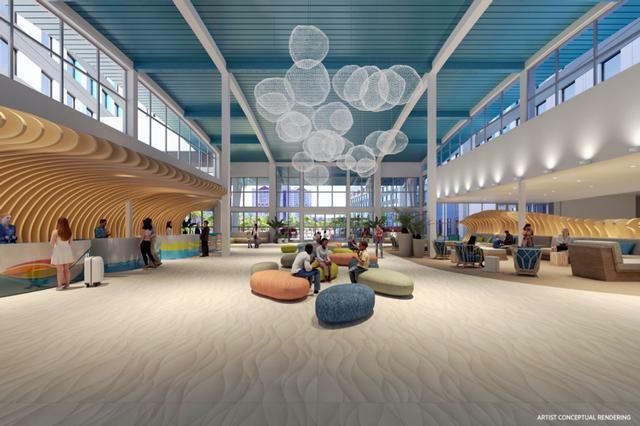 Meanwhile, at Universal's Endless Summer Resort - Dockside Inn and Suites, which opens next spring, the design focus is on that dock, with wood textures and colors in the lobby. And the visual theme carried into its restaurant as well. These new properties will be Universal's lowest-priced "on-site" hotels, with rates starting under $100 a night. The hotels will be connected to Universal Orlando's theme parks by bus service and guests will enjoy Early Park Admission perks as part of their stay. Nothing "on site" about these I-Drive hotels, much like Tokyo Disney Resort's off property Celebration. Had to do something with the former Wet'n'Wild Orlando site, though, so here's Endless Summer. An I-4 ramp over Universal Boulevard away through very real and pedestrian unfriendly Orlando traffic from Universal Orlando Resort itself. Yeah, that's why I used the quotes. 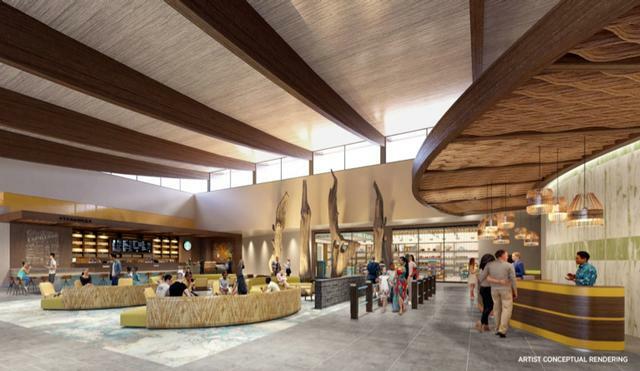 To be fair, though, eyeballing Google Maps, the new hotels look to be about as far away from Universal's transport hub as the Polynesian is from the entrance of the Magic Kingdom. Granted, the Seven Seas Lagoon is a lot more pleasant to look at than I-4. Those hotels look pretty damn nice for that price point. Hopefully they are better built than Sapphire Falls which started falling apart before it even opened. Love the sandy carpet in the Endless Summer lobby. I could actually feel the sand in between my toes and had to check my socks........ twice! Both look great value for money, especially the value-rated Endless Summer but that transport issue.....oh that transport issue! They need a mini CityWalk in-between them to give the guests at least something special to compensate them being "off-site on-site" resorts. Reminds me of a newer airport. In the image that shows the Surfside's pool, there is a large body of water behind it. Is that real? Or is it similar to Disney World showing mountains way out in the distance in some of their concept art? @Gabriel: Yes it's real. It is Sandy Lake. Sapphire Falls my favorite Orlando Hotel!